This is basically the same as the breaded chicken recipe except for this I used talapia. 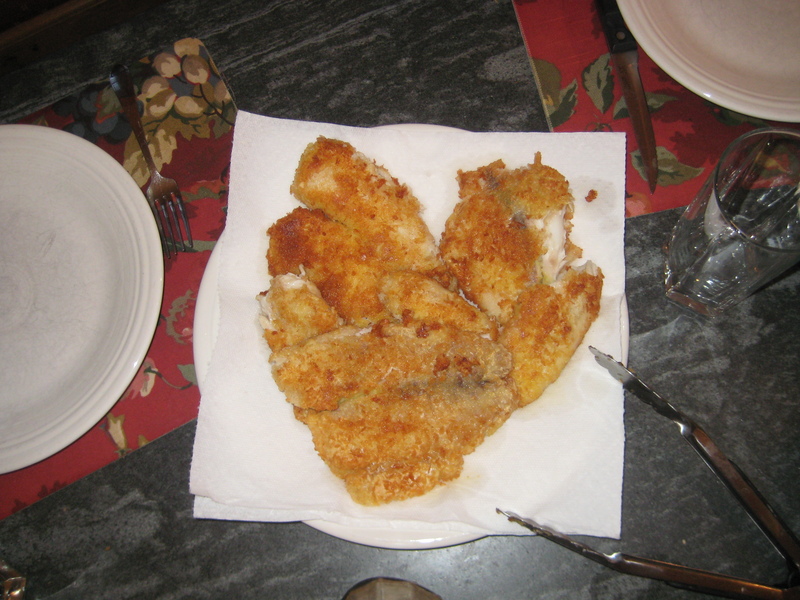 You first dip the talapia in flour, then egg, then panko bread crumbs. Then fry in a pan with a generous amount of oil. Very simple and a good crowd pleaser. Panko bread crumbs are japanese and are much better than using italian bread crumbs because they create a crispier, flakier crust on the fish (or chicken).